Drinking milk was originally the primary use for cow's milk. That time has passed. 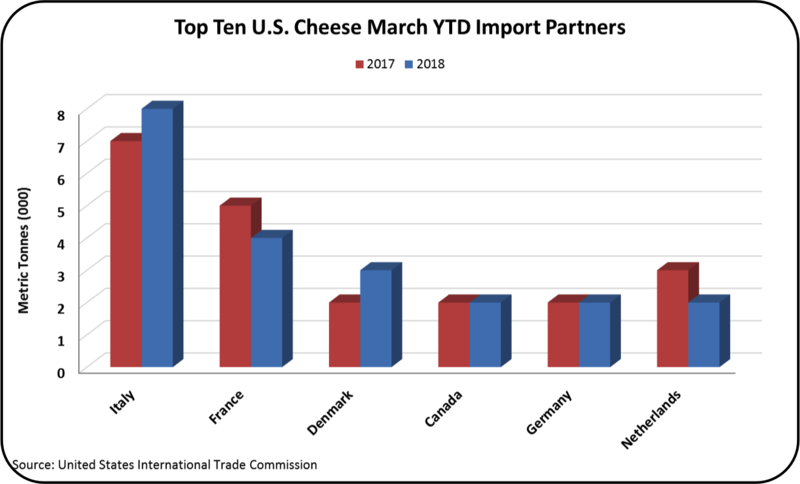 Cheese production is now the primary use of cow's milk in the U.S. 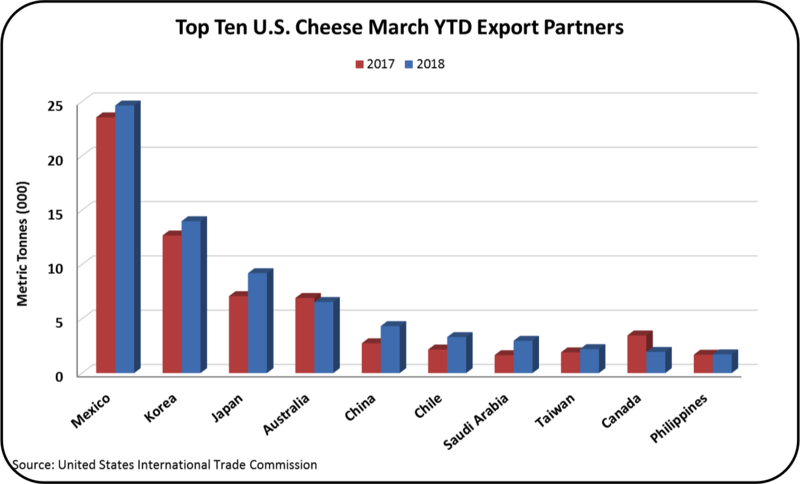 The long-term growth of domestic cheese consumption was covered in the March 31 post to this blog. 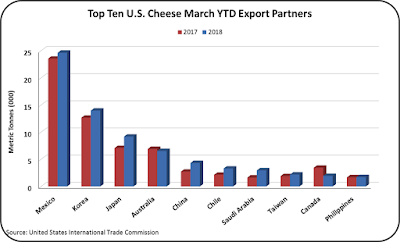 The current growth rate of domestic cheese consumption is about 2% annually. 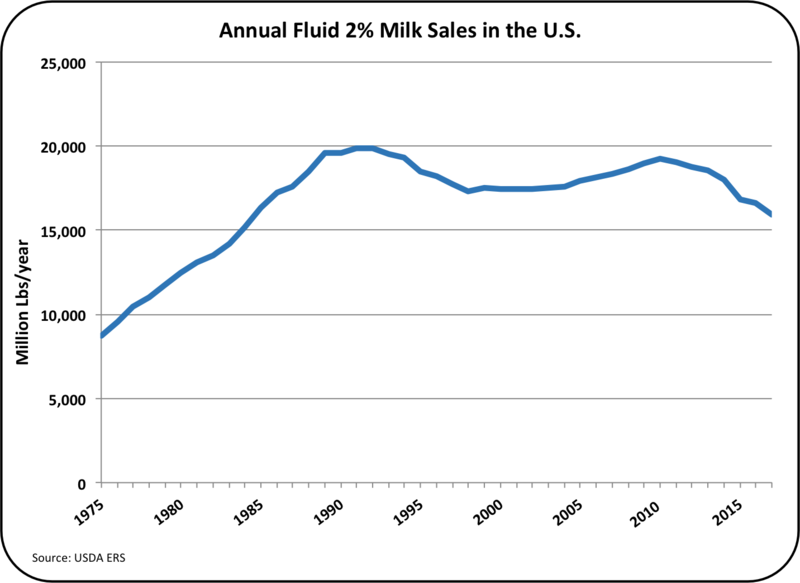 This post will cover the growth rate of fluid milk consumption based on the most recent 2017 data. 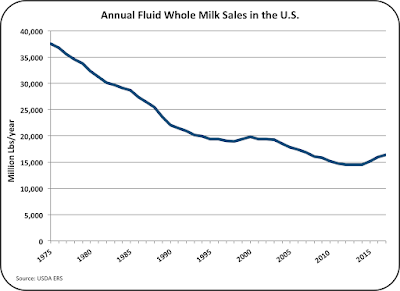 Chart I shows the total volume of fluid milk consumed in the U.S. For many years, the decline in per capita consumption was offset with population growth keeping the total fluid milk consumption relatively stable. 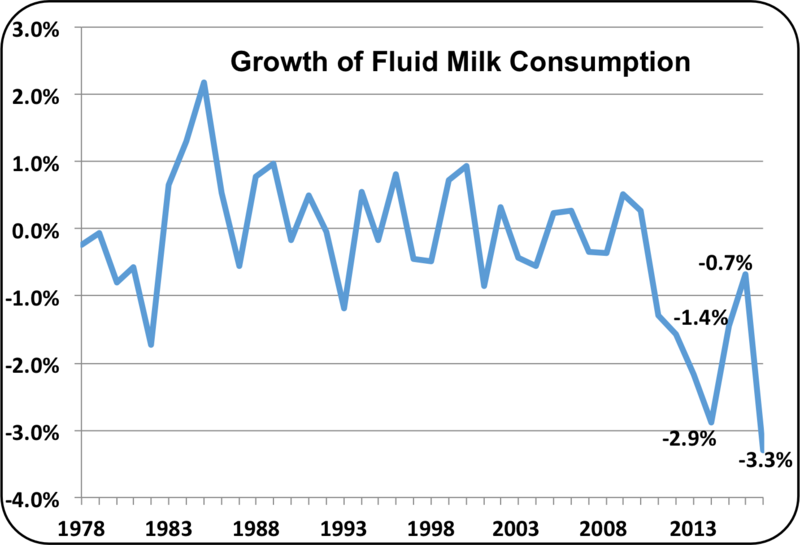 However, population growth has slowed, and the per capita consumption of fluid milk has dropped. The growth rate is now negative. 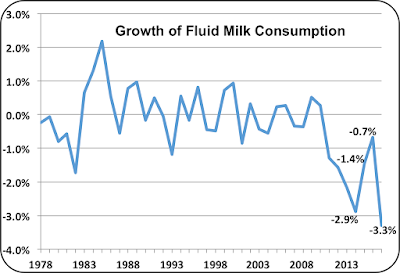 There has been no positive growth in consumption of fluid milk in the last seven years (Chart II below). 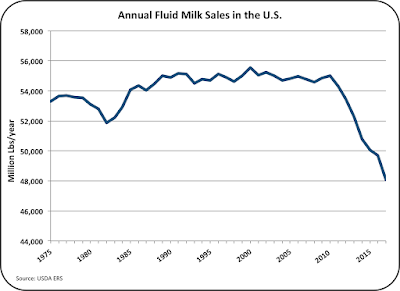 The negative growth rate of beverage milk is now increasingly negative. 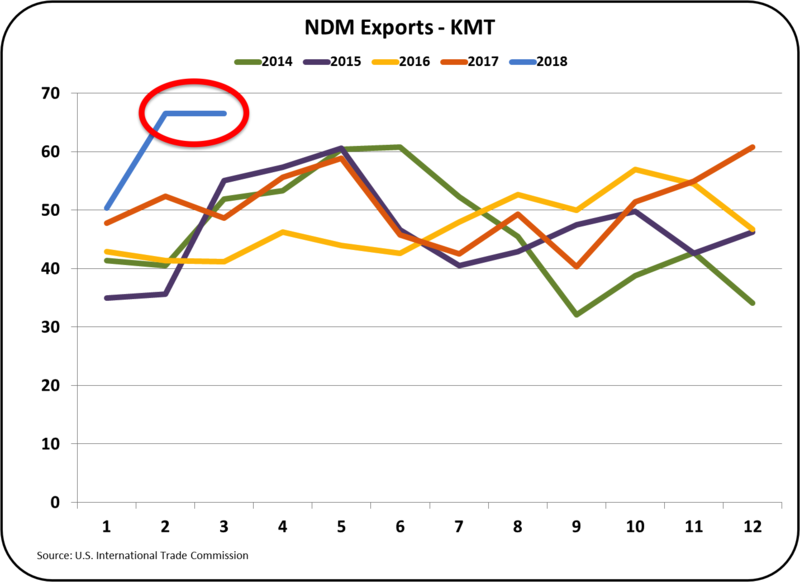 In 2017, the rate of decline increased to -3.3%. 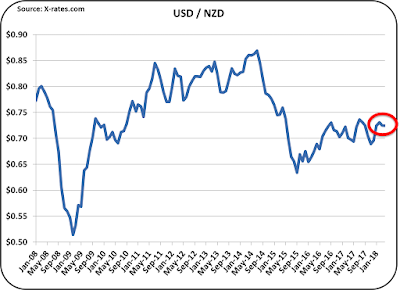 The data below shows that the negative growth rate is now accelerating. 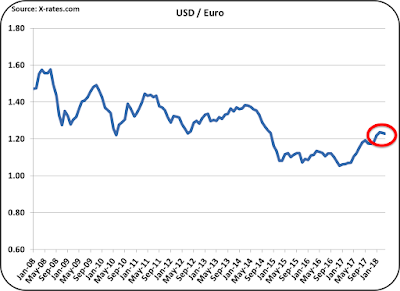 Statistically, the current trends suggest that the negative growth rate may soon become -4% or greater annually. The makeup of milk is also drastically changing. Turning the calendar back 50 years, whole fat milk was about all there was. Then, as consumers became more calorie conscious, 2% fat milk grew as well as 1% fat milk and skim milk. 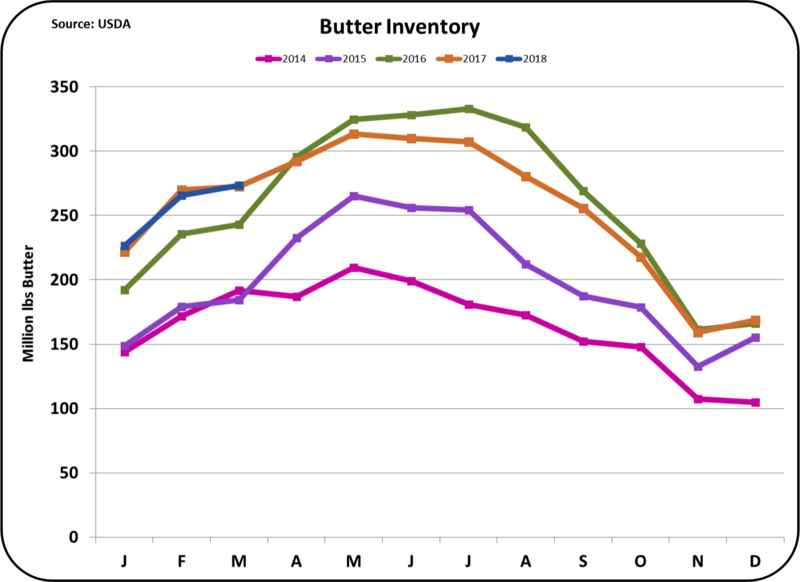 That trend has reversed in the last five years and butterfat has been shown to have important properties. Butterfat is now recognized to help certain body functions, not just add calories. 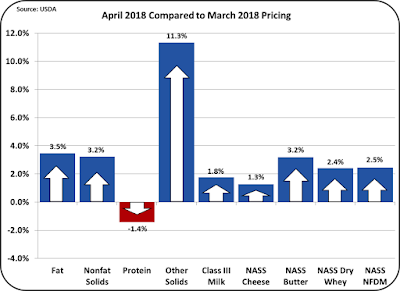 In 2017, the volume of whole milk was again up over the prior year gaining 2.6%. Milk with 1% fat dropped by 9% in volume in 2017. 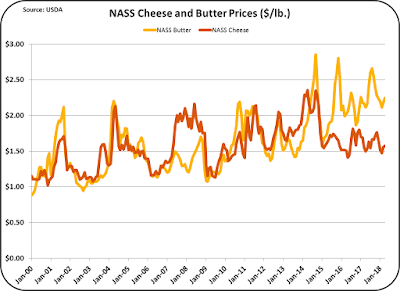 This change follows the overall trend to milk with more butterfat. 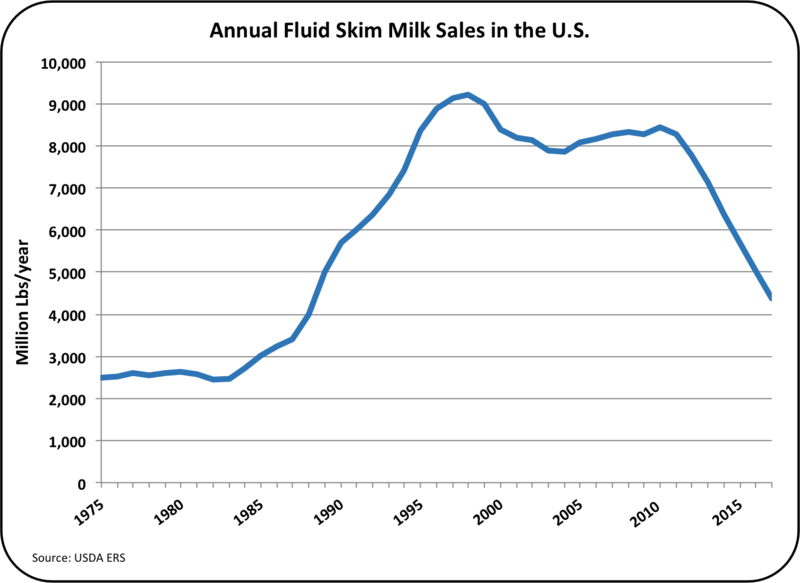 Skim milk continued its drastic fall. 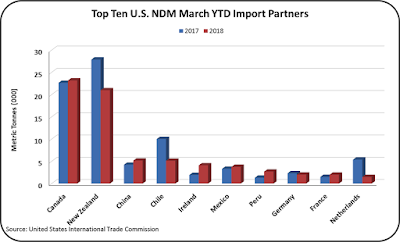 In 2017, it fell by 13% from the prior year. Over the last eight years, it has fallen by 48%. Adding all the types of milk together, total fluid milk consumption fell 3.3% in 2017 vs. the prior year. 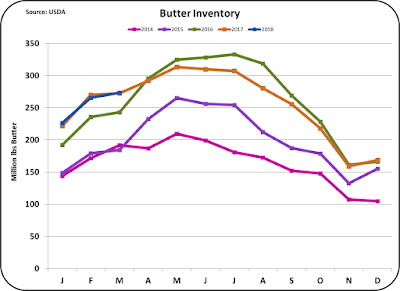 The increased consumption of butter covered in the March 31 post to this blog is only one factor in the overall consumption of butterfat. 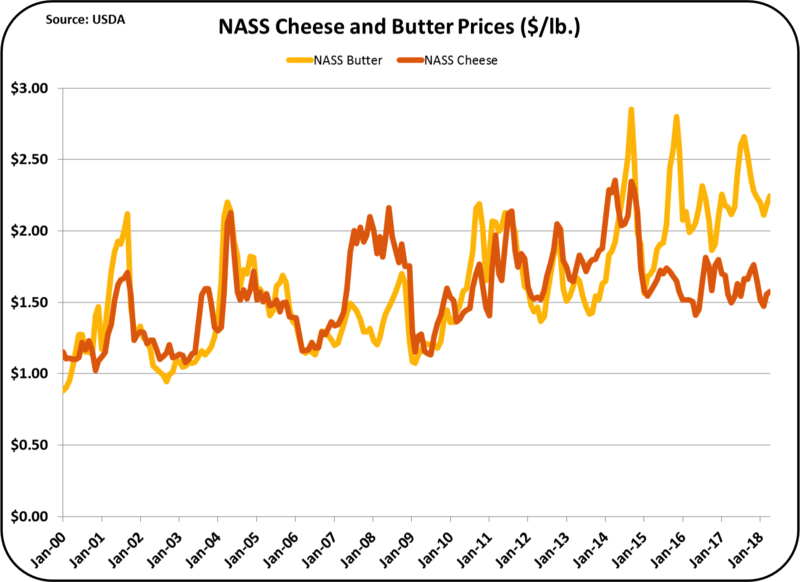 The changes in consumption of fluid milk with less butterfat being removed has also put pressure on the butterfat supply. In 2017, whole milk made up 34% of the total milk, 4% higher than the prior year. Where is this trend going? 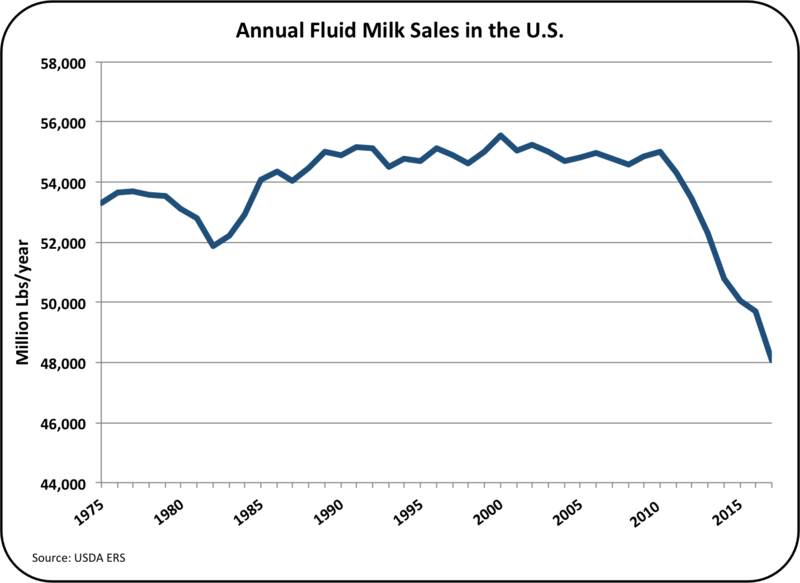 If milk consumption continues to drop by 3.3% per year, fluid milk demand will drop by another 30% over the next 10 years. 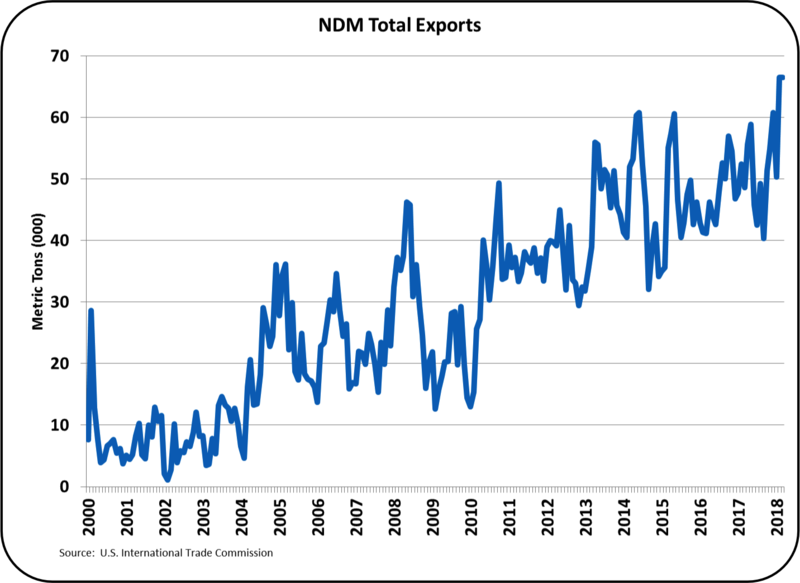 In the case of fluid milk, export help is minimal as shipping all the water in whole milk very far is cost prohibitive. That would make the demand for Class I fluid milk drop from being the number two category by milk class to number three. Class IV milk which is growing would become the second largest category. States like Florida, where fluid milk consumes nearly all the milk produced, will see a drastic change in the need for milk. The data presented above only confirms what most readers already know. 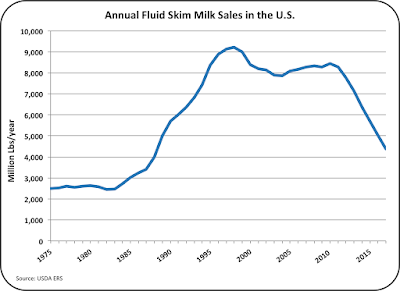 Fluid milk consumption is continuing its slide downward. White milk mustaches appear to be disappearing. 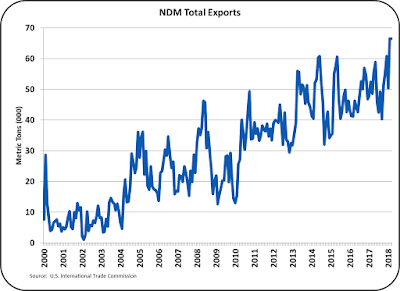 The new data suggests that the decline is accelerating. 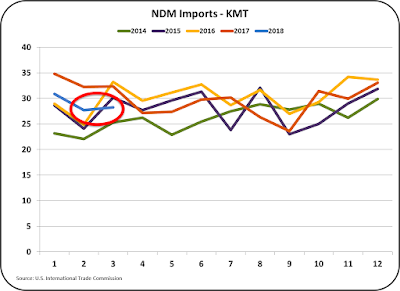 In the statement in the paragraph above, a decline in demand for fluid milk in the next 10 years was estimated to be 30% based on the 2017 decline rate. 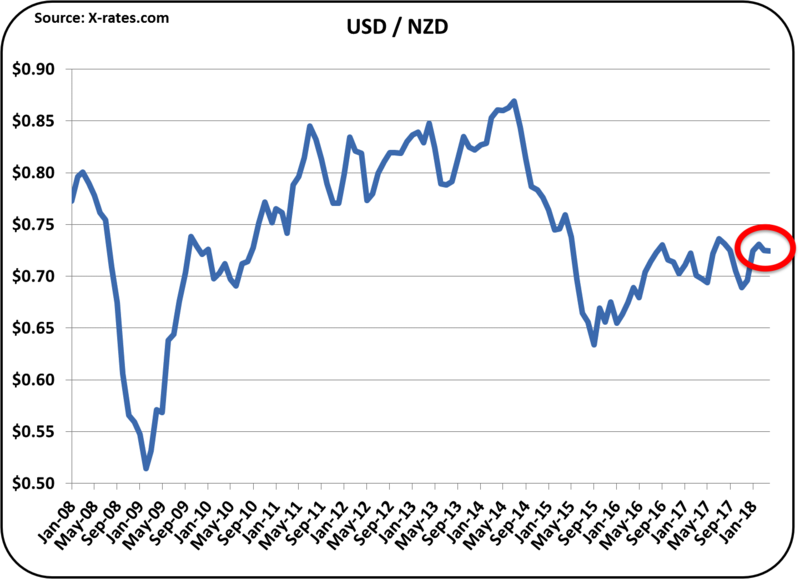 That may understate the decline which appears to be accelerating. If the declining rate continues to accelerate, as it is now, that decline could be 35% or more over the next 10 years. 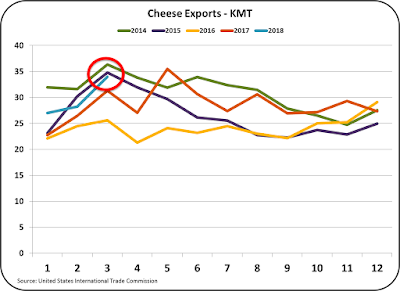 When we start to combine the domestic consumption and export trends, it becomes obvious that the productivity standard of measuring pounds of milk production is meaningless. The only thing that is important is pounds of solids, and especially important are pounds of butterfat and protein. 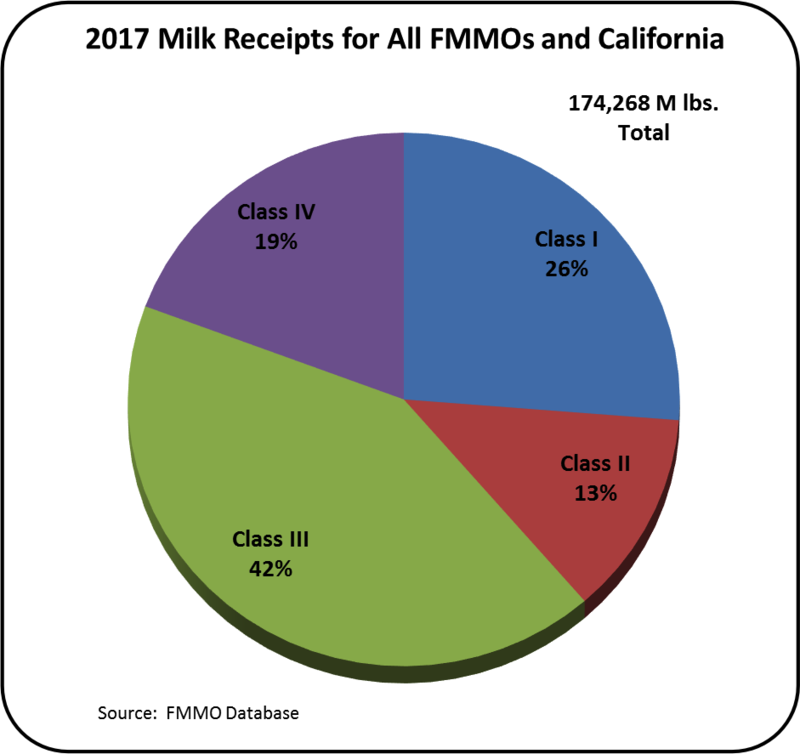 While there are many statistics published on pounds of milk produced, there are very limited national or statewide statistics comparing pounds of the various solids produced. 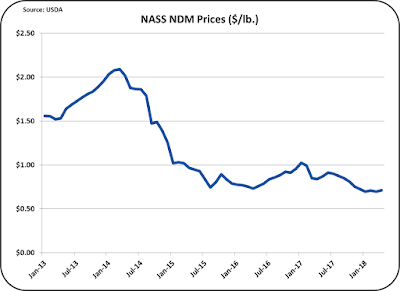 The Federal Orders paid on the advanced system will continue to decrease in volume as fluid milk declines. Payment by the component system will continue to grow. Statistics on production of specific solids needs to become the standard measure of productivity. The most difficult question to answer is how much total milk will be needed. 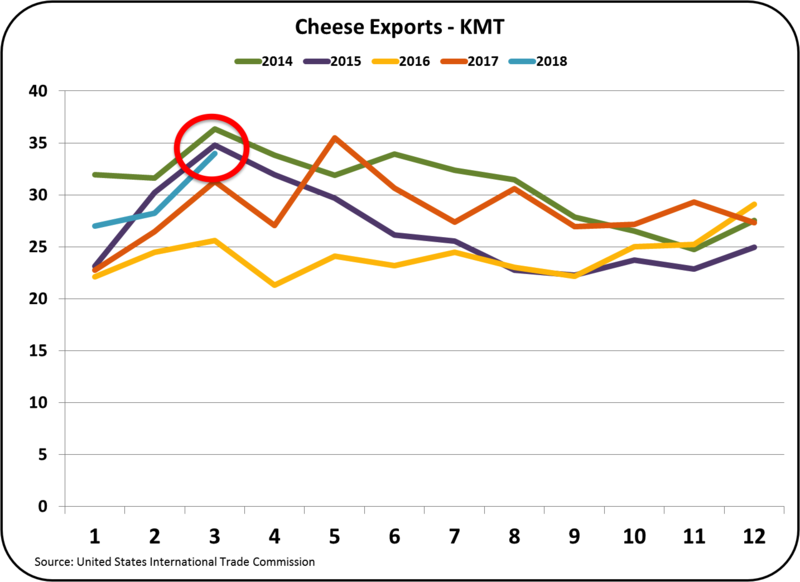 From prior posts, data and trends on population growth, cheese growth, butter growth, and export/import growth were examined. 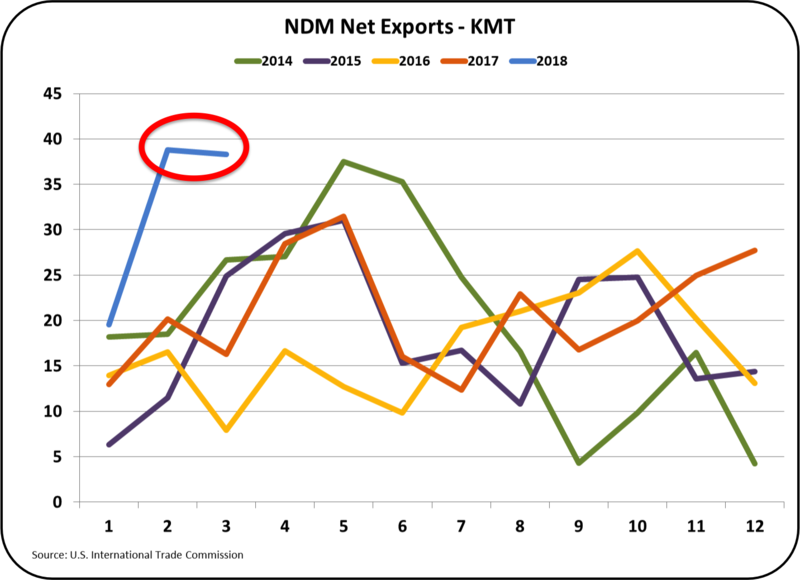 The most volatile of these is exports/imports, because there are many global elements that can influence exports and imports. 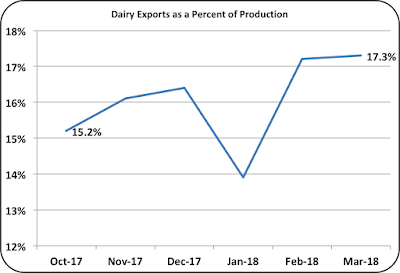 Current data shows that the milk supply is growing by 1.5% annually. Is there enough demand for all this milk? 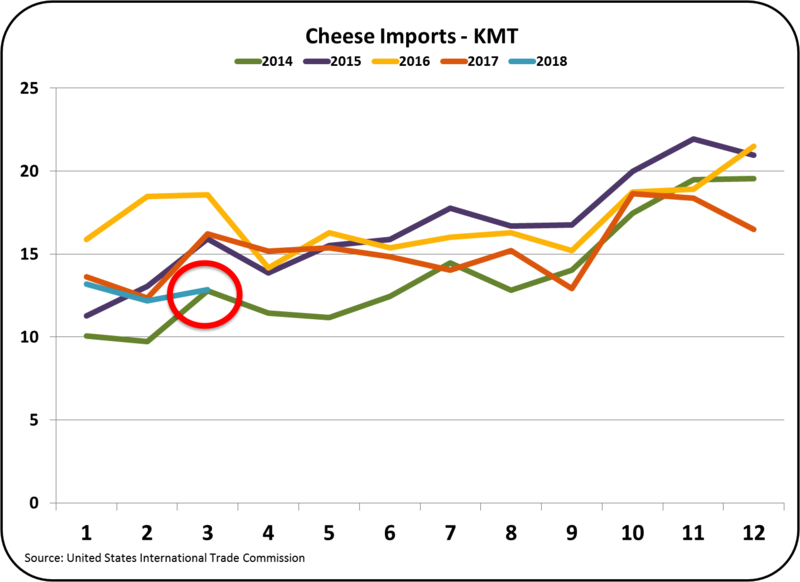 In a June post to this blog, the factors mentioned above will be combined to form a model predicting the volume of milk/solids that will be needed going forward. This post will frame one more element in the equation of how much milk is needed in the U.S.. 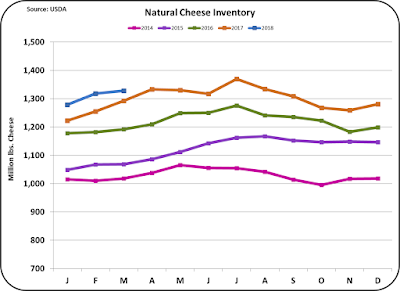 When there is not enough milk available to meet demand, inventories are tight and producer milk prices are high. 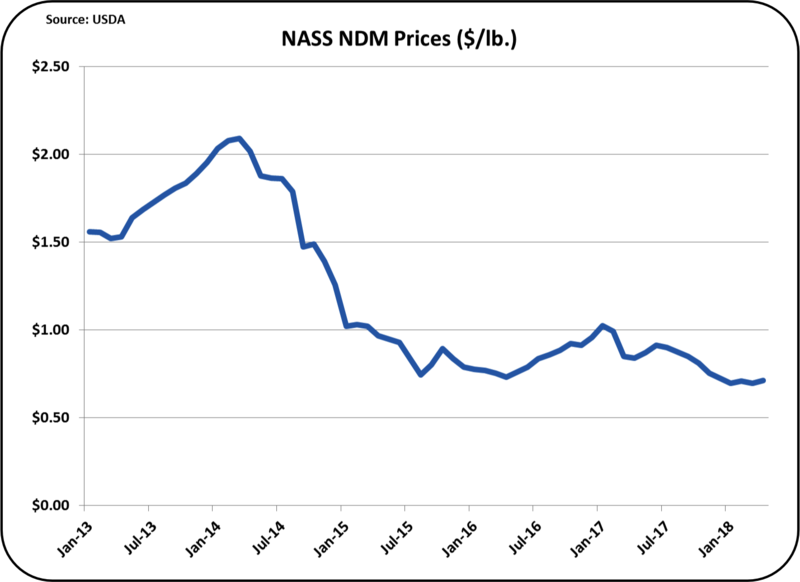 With high prices, producers want to expand for two reasons. They can because they are making a lot of money, and because they want to take advantage of the high prices in the future. 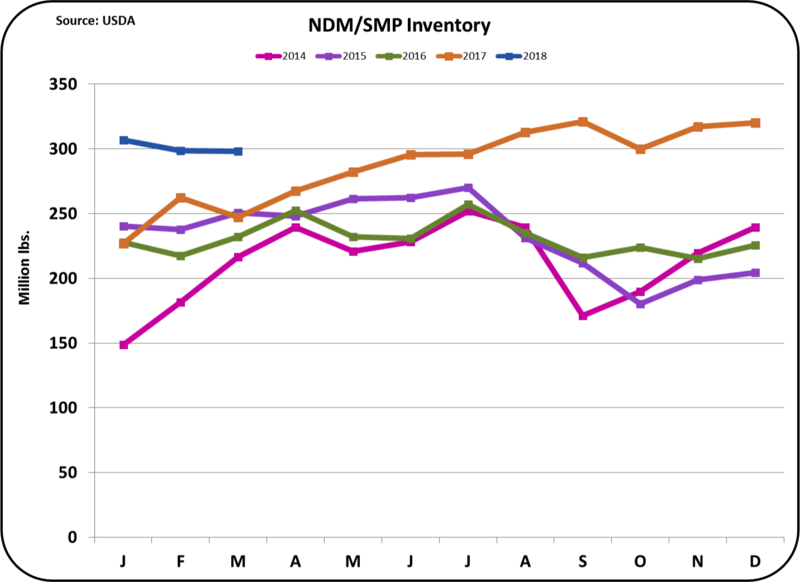 Where there is too much milk available, inventories become bloated and prices are low. 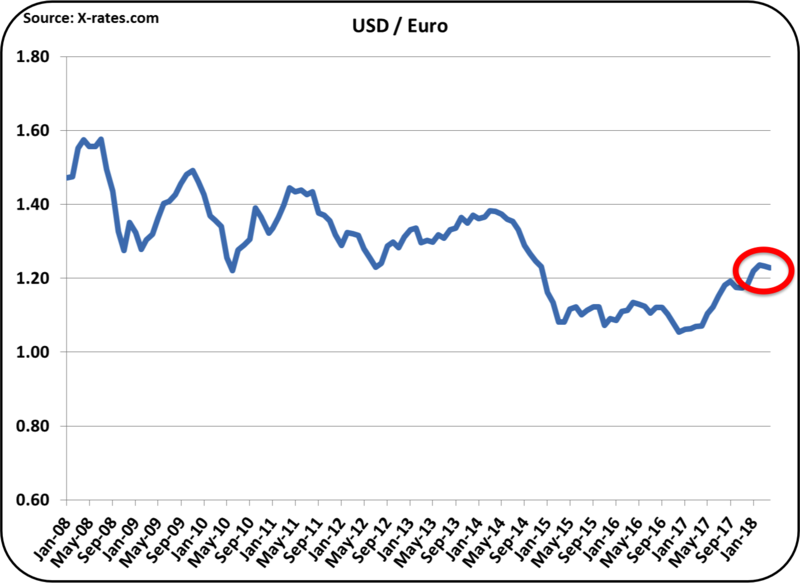 Low prices drive out some of the marginal herds and balance returns. 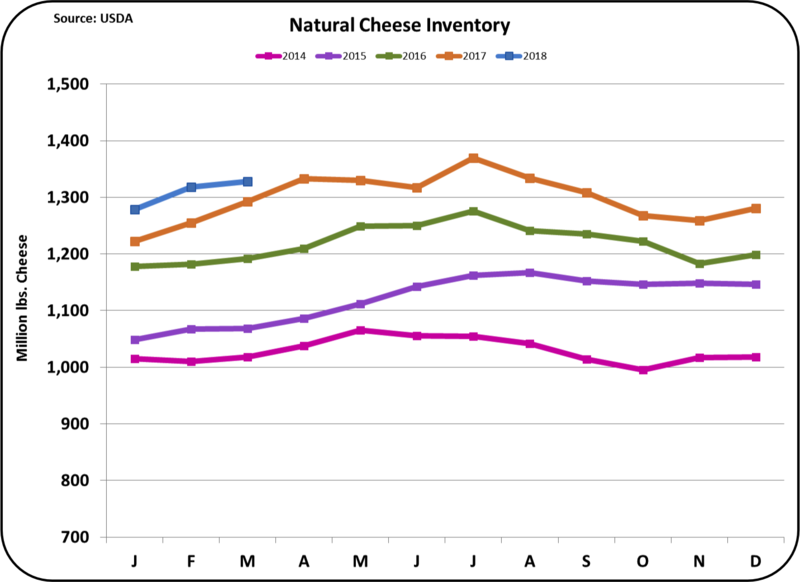 Prices have been relatively low for the last three years, but is milk production shrinking? 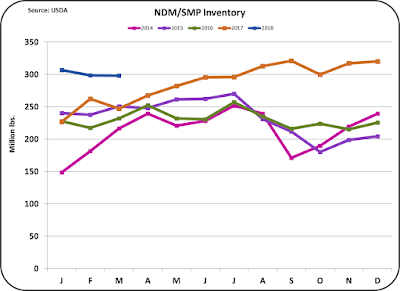 Where is the demand side for milk production going? 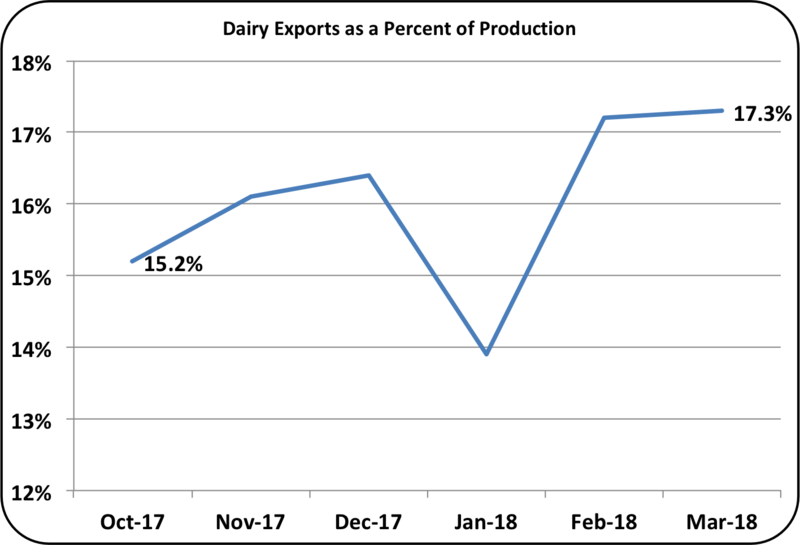 Do we need more milk to fill demand? 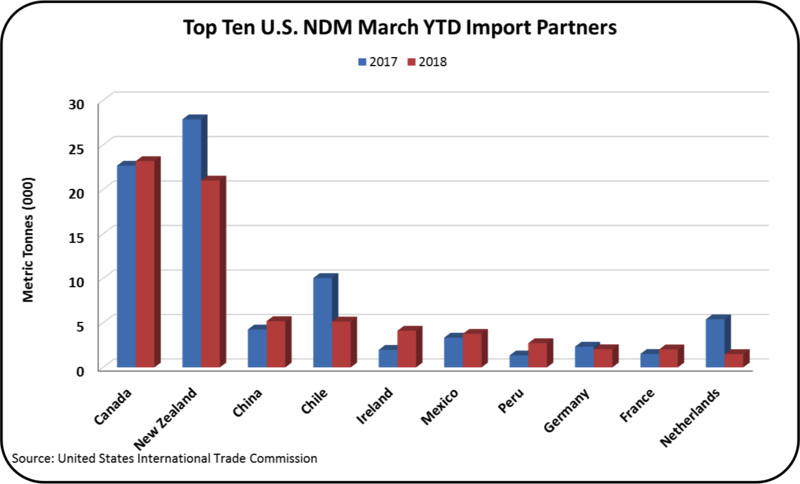 Demand comes from two areas, U.S. consumption and exports. U.S. consumption comes from per capita consumption of individual dairy products and population growth. The U.S. government does not control milk production. There are no government assigned quotas. Only the economics of supply and demand manage the milk supply. 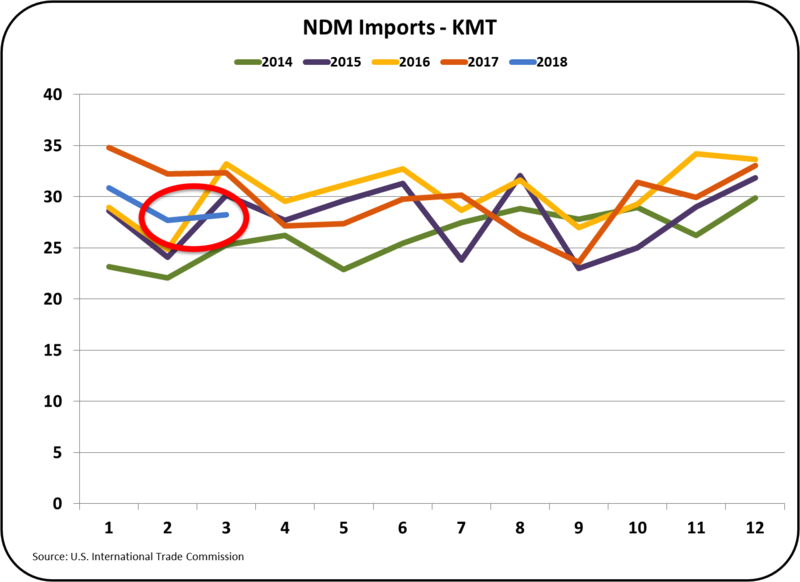 It behooves a producer to understand where some of these parameters of demand are moving. 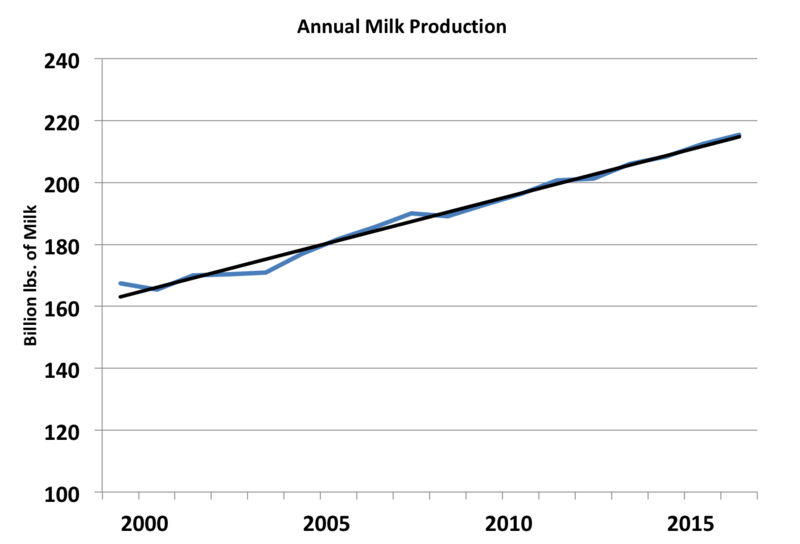 Lets first look at milk production over the last 18 years (Chart I). 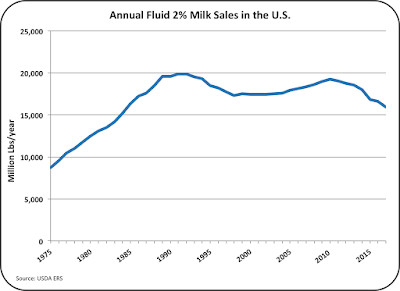 The growth of milk production has been very steady for decades. Chart I has a trend line that follows very closely to the blue line of actual milk production from 2000 to 2017. 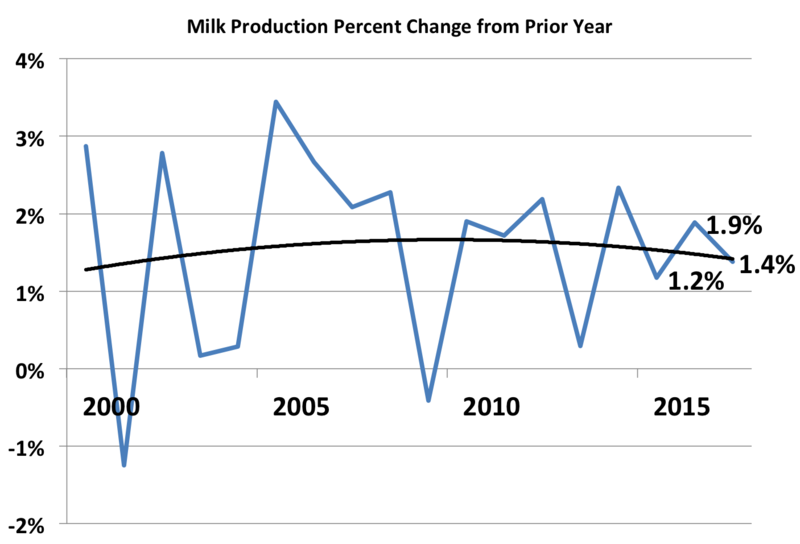 Chart II shows the annual growth in milk production as a percentage of the prior year. 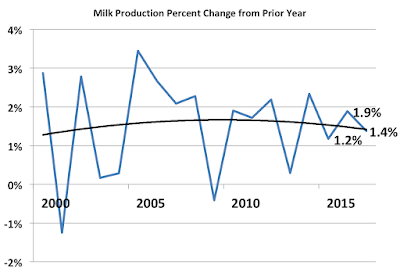 Since the year 2000, Milk growth has averaged 1.5%. 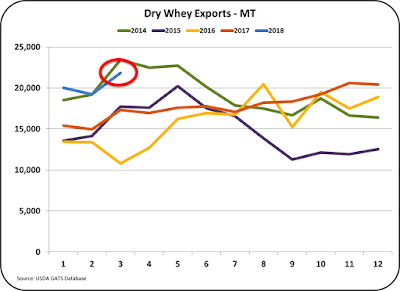 Milk production increases in the last three years are also around 1.5%, but with less wild volatility than prior years. 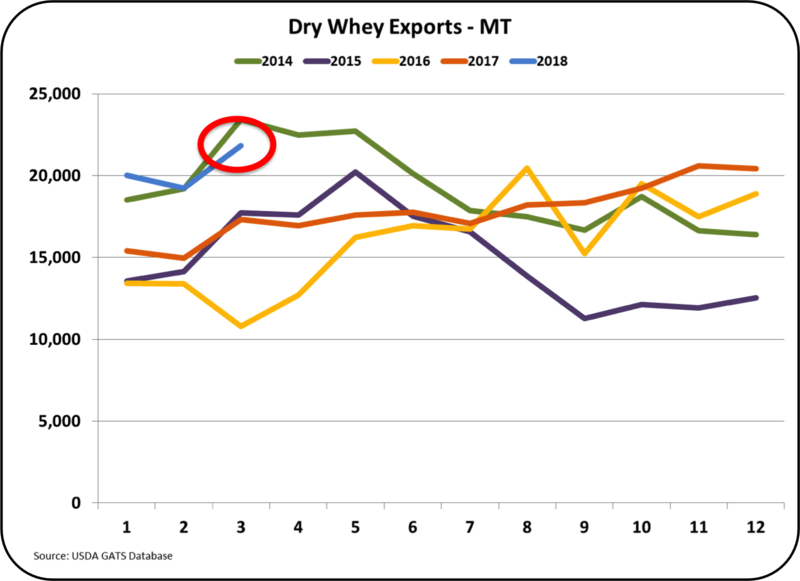 In the first quarter of 2018 milk volume increases were again averaging 1.5%. That is well above the population growth as shown below in Charts III and IV. 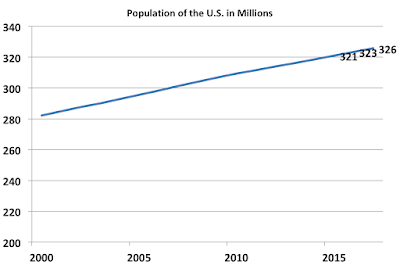 Population in the U.S. has, over the last 35 years, increased in the range of 2.1 to 3.5 million people per year. 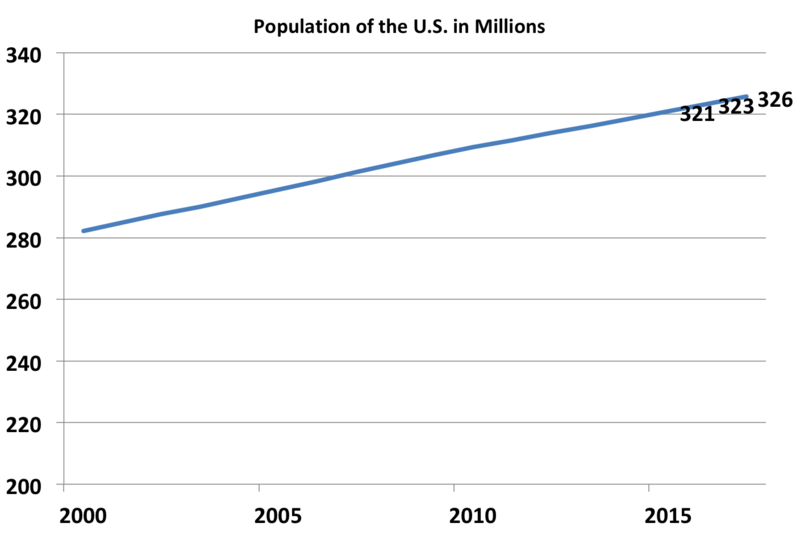 Chart III shows the population growth from the year 2000 to 2017. 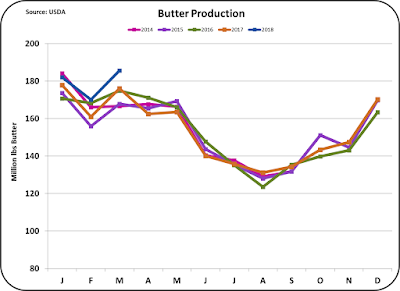 Just like with milk production, the steady increase in numbers however means a lower percentage growth. 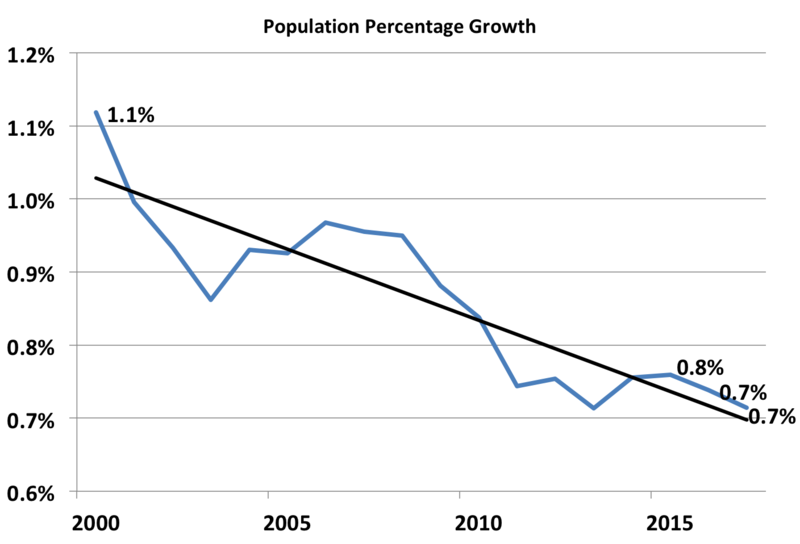 Chart III - Population Growth in the U.S. Chart IV shows the slowing percentage of population growth. In the year 2000, the population growth was 1.1%. 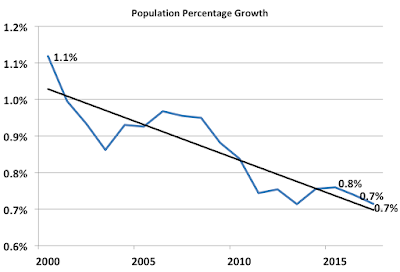 Over the last three years, the population growth has slowed to .7%. The difference between the current population growth of .7% and the growth in milk production of 1.5% leaves a gap of .8%. 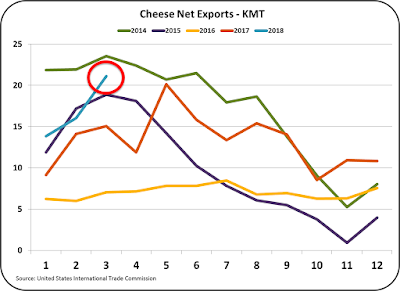 To keep inventories in line, the difference between the population growth and milk growth has to be resolved with greater exports and/or greater per capita consumption of dairy products. 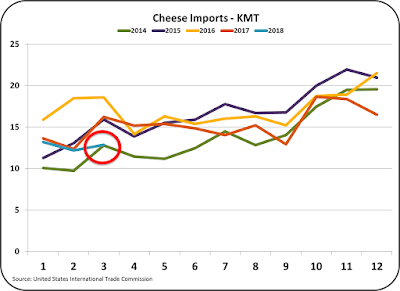 In the March 31 post to this blog, consumption of cheese and butter were analyzed. 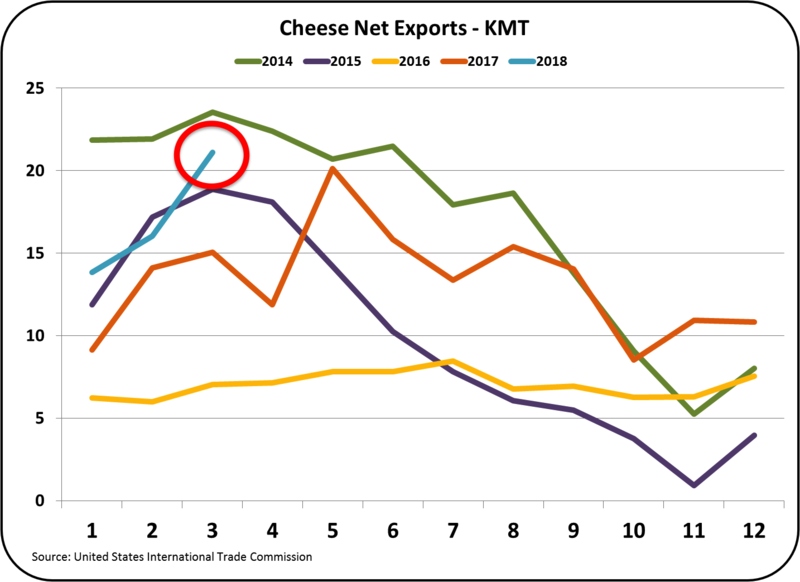 Consumption of cheese has slowed to a 2% growth rate. 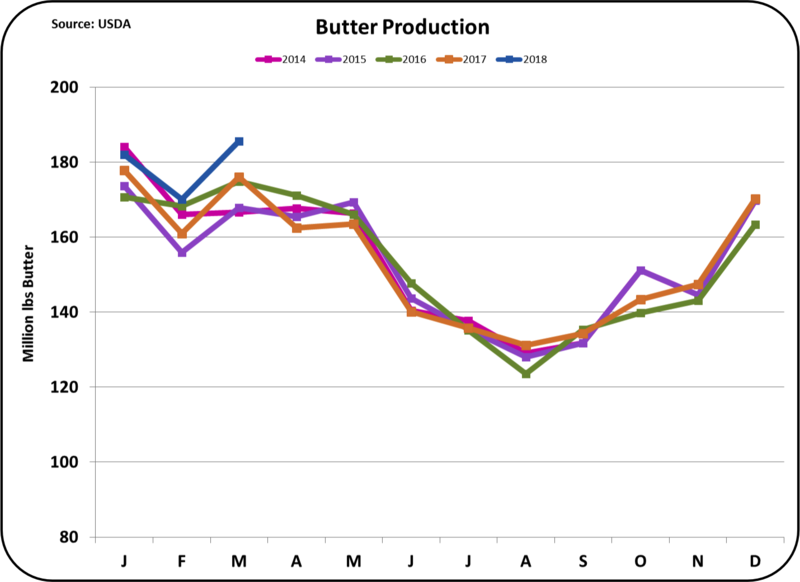 Butter consumption is growing by 2.6% per year. 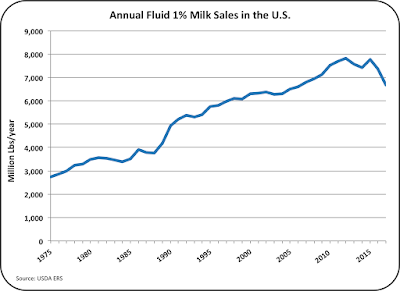 The missing part of the domestic consumption of dairy products is fluid milk. 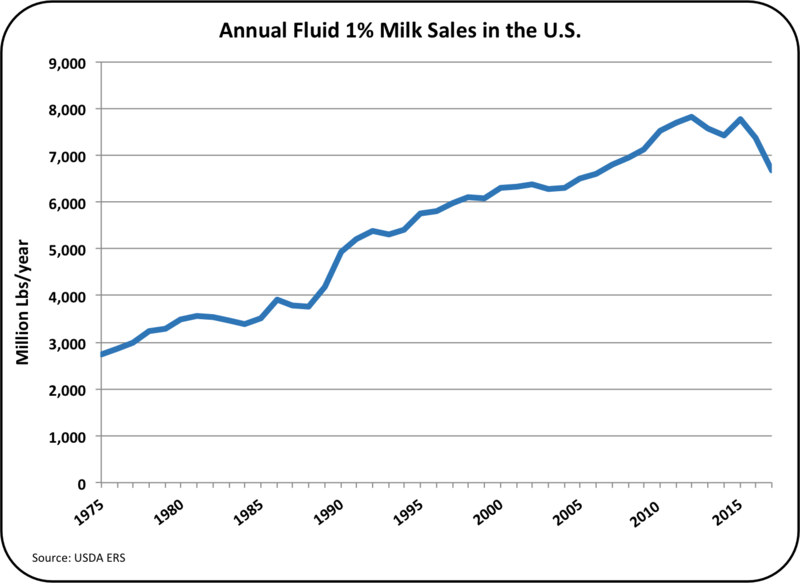 Per capita consumption of fluid milk consumption has been decreasing for decades. Data for 2017 should be available very soon. 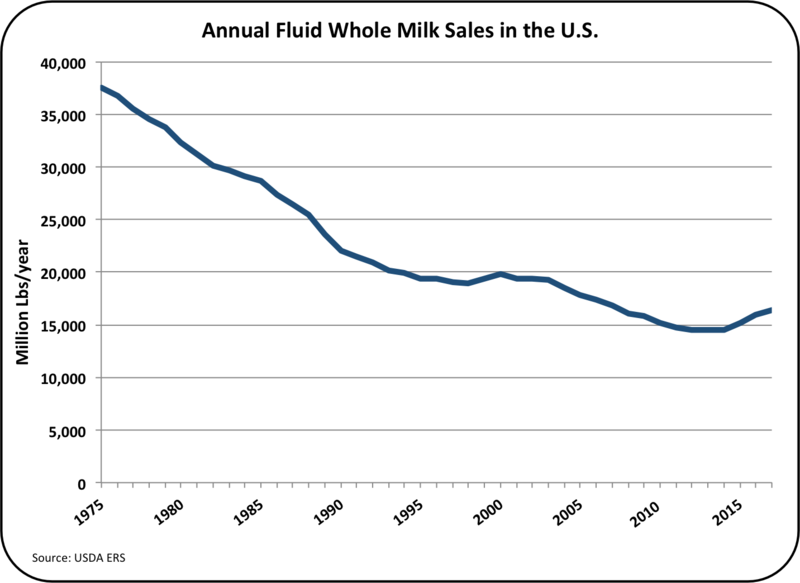 This will provide an update on how fast the fluid milk category is shrinking. 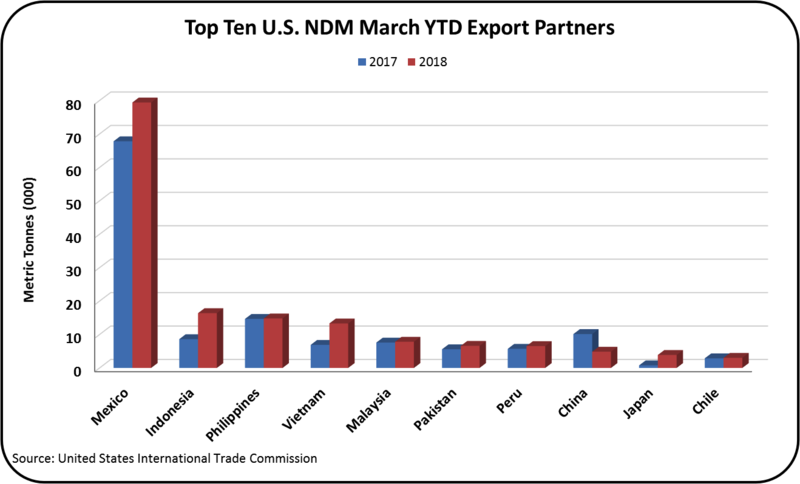 March exports and imports will be analyzed in the next post. 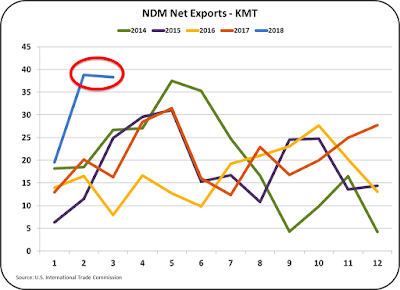 More insights into the trends of export volume and the breakdown by category will be covered. 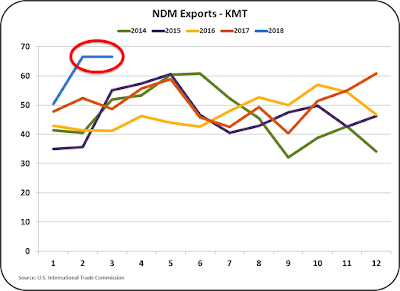 Once the data for domestic per capita consumption, export trends, and population growth is analyzed, a summary will be made of how the current trends may impact the bloated inventories and producer pricing. California will become a Federal Order toward the end of this year, so the final analysis will include California data as a Federal Order paid by the component calculations.